The leader of al-Qaeda has pledged his allegiance to Mullah Omar’s chosen successor, Mullah Mansour. In the message, Zawahiri offers his condolences and declares his support for Mullah Mansour’s leadership. The Taliban confirmed Mansour’s status as the group’s new leader shortly after Omar’s death after a shura (council) of leaders convened in Quetta, Pakistan. “We pledge our allegiance … [to the] commander of the faithful, Mullah Mohammad Akhtar Mansour, may God protect him,” Zawahiri notes in the message. “Allah has honored you and honored our emir, the emir of the believers, Mullah Muhammad Omar. May Allah have mercy on him.” For the moment, the authenticity of the message has not been independently verified. Zawahiri’s announcement of support for Mansour may have two immediate effects. First, it could shore up support within the Taliban rank-and-file for Mullah Mansour. As I’ve detailed for The Diplomat in previous posts, Omar’s death has led to a bit of a power struggle within the organization. While Mansour represents one locus of power—a strong one, no doubt—a large portion of the Taliban banded behind Mullah Omar’s son, Mullah Yacub, who was recently reported to have been killed by Taliban loyal to Mansour. In an additional blow to Mansour’s legitimacy, Syed Mohammad Tayyab Agha, the head of the Taliban’s office in Qatar, resigned his post, citing his dissatisfaction with the manner in which Omar’s succession had been handled. Against this backdrop of splintering at the highest levels of the organization, Zawahiri’s statement could matter. Though al-Qaeda has largely faded into obscurity amid the rise of the Islamic State group, Zawahiri continues to command respect and authority among jihadists, certainly along the porous Afghan-Pakistan border where the Taliban operate. 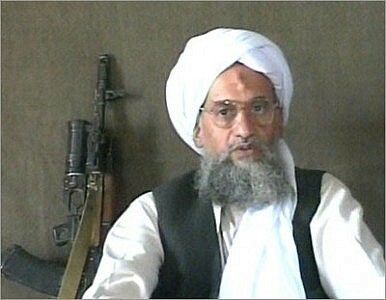 Zawahiri has led al-Qaeda since U.S. commandos killed Osama bin Laden in Abbottabad, Pakistan in 2011. The second effect of Zawahiri’s message is that it thrusts al-Qaeda back onto the scene in Afghanistan at this time of flux for the Taliban. As the BBC notes, following Omar’s death and Zawahiri’s long-time radio silence, rumors were circling that Zawahiri himself had been dead for some time. Zawahiri’s reappearance could also plug defections from al-Qaeda and the Taliban toward the Islamic State, which started ramping up its operations in Afghanistan this year.